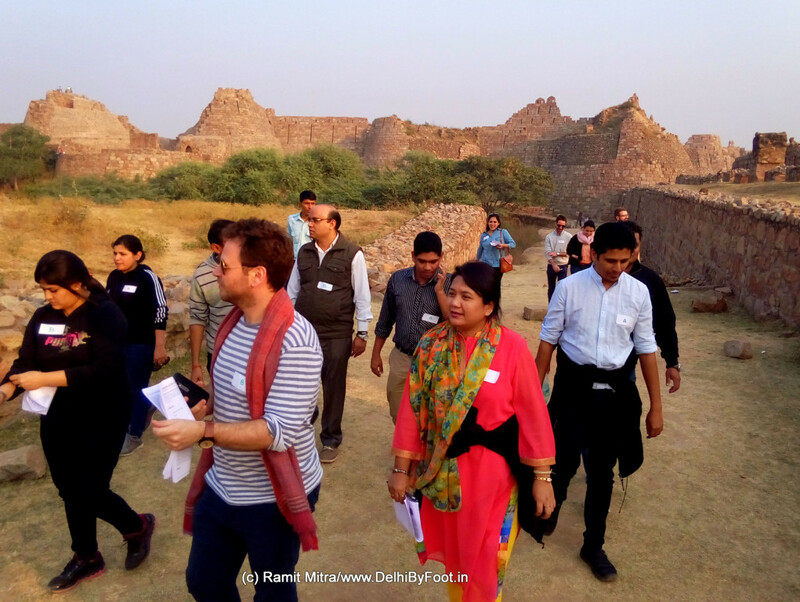 Why would the ruins of a 700 year old fort on the outskirts of the city generate interest in a corporate firm, planning to organize an outing for its employees, instead of going to a resort or a conventional picnic spot? 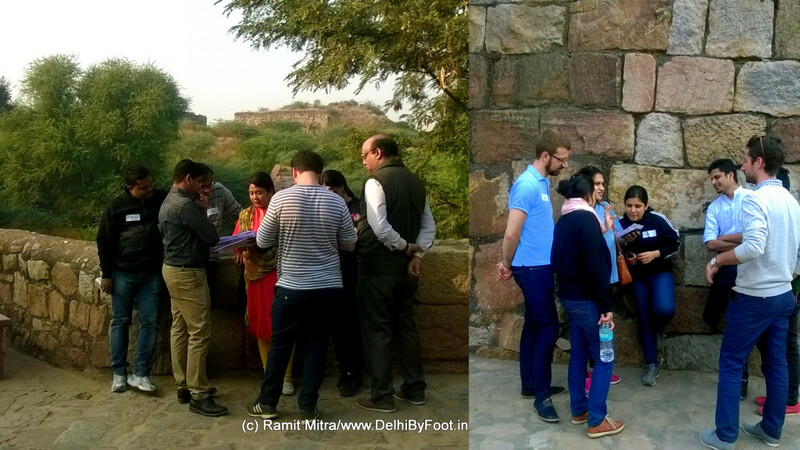 What makes people prefer a dilapidated monument over a comfortable and accessible relaxing corner in the city? 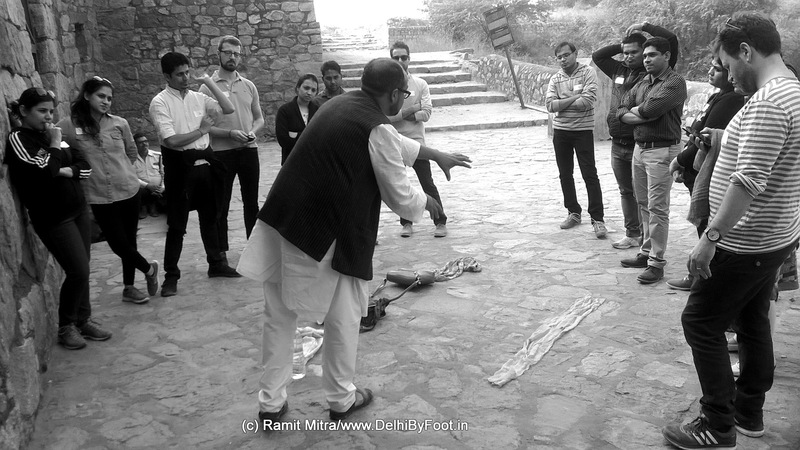 Besides, who would want to play a quiz on a monument within its medieval ruins and enjoy it too! We were surprised to see the way the day unfolded. Not only did the team from Altios India come prepared for the quiz, they were bubbling over with excitement. During the quiz, the friendly banter over correct answers and the validity of questions called for our mediation. 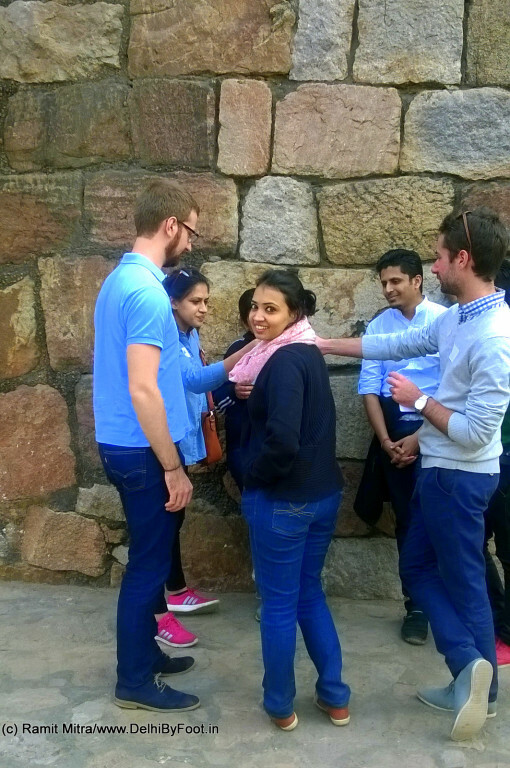 Inspite of the fact that the participants were visiting Tughlaqabad Fort for the first time, they seemed quite familiar with the structure and its stories. They jumped at scoring every point as if paleontologists had just discovered a fossil, booed the opponent team for “historical blunders” and seemed awestruck at some stories we narrated about the monument. Team A all set for the attack! 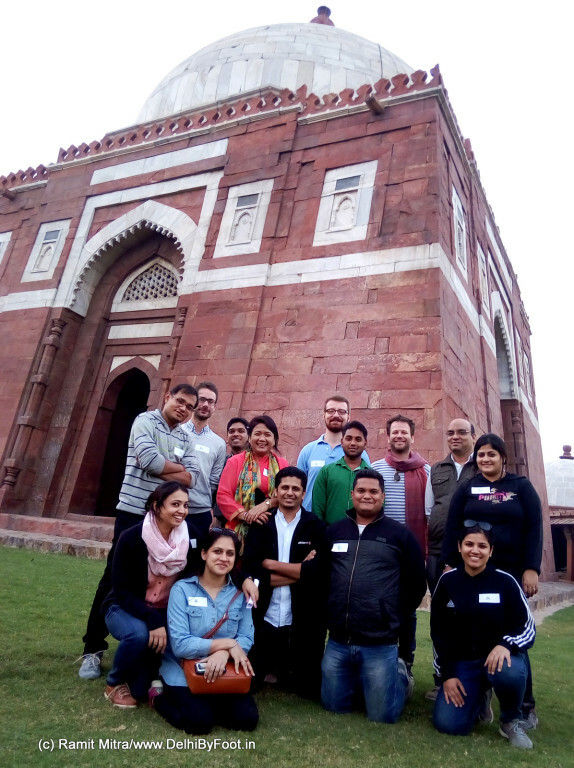 Three of the participants belonged to different countries; the one who was most enthusiastic commented, “Delhiites hardly know anything about their city.” That was a moment of unease for us because, unfortunately, we felt that maybe he wasn’t too far from the truth. 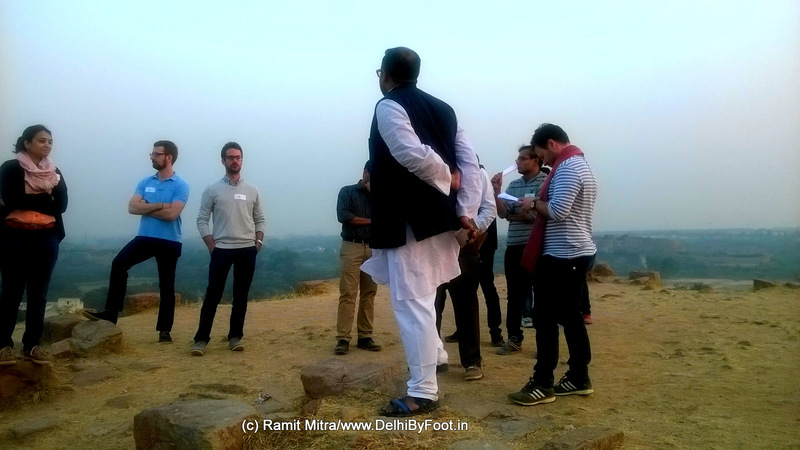 But we have hope & so we run Delhi By Foot to motivate people to step out of their homes, ignore malls on weekends and explore this majestic city on foot. Wish history was taught like this in schools, transforming its reputation as a mundane and lifeless subject. 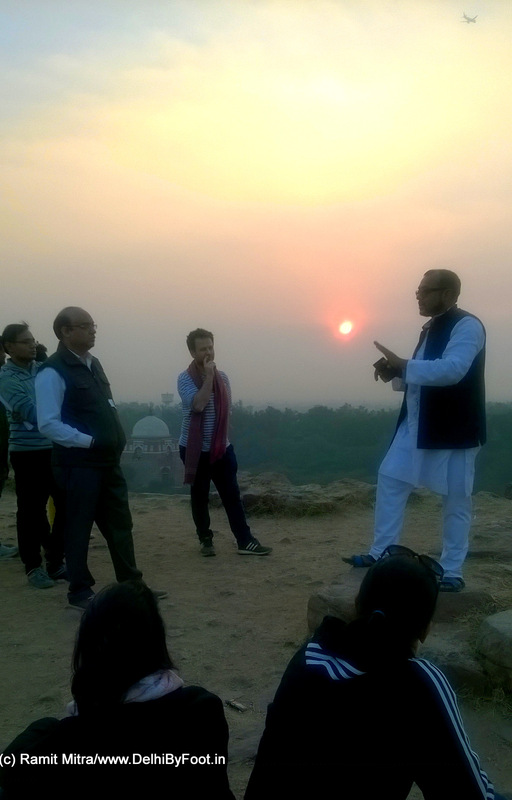 The music of rustling leaves, the chandelier of the sun, the couch of rocks and the thrill of historical tales is the ambience a historical monument offers. Want to explore one? 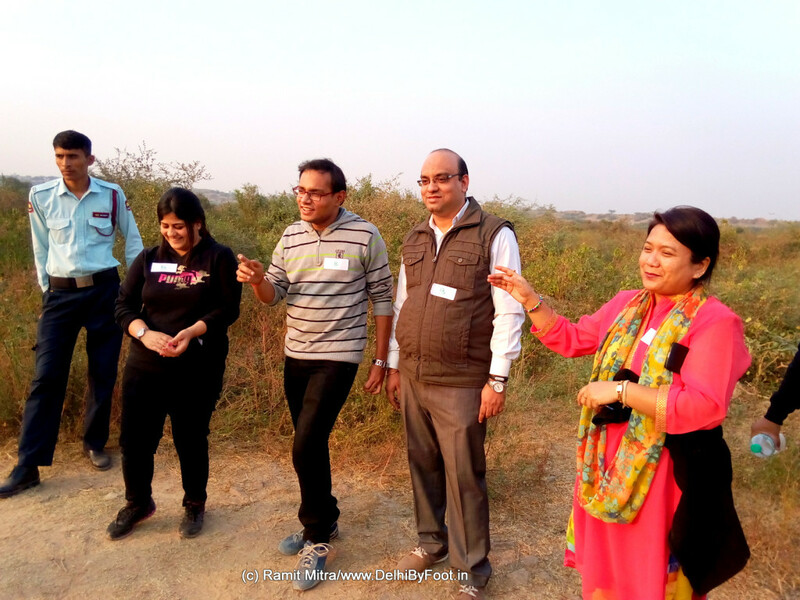 Check out our Corporate Activities options. 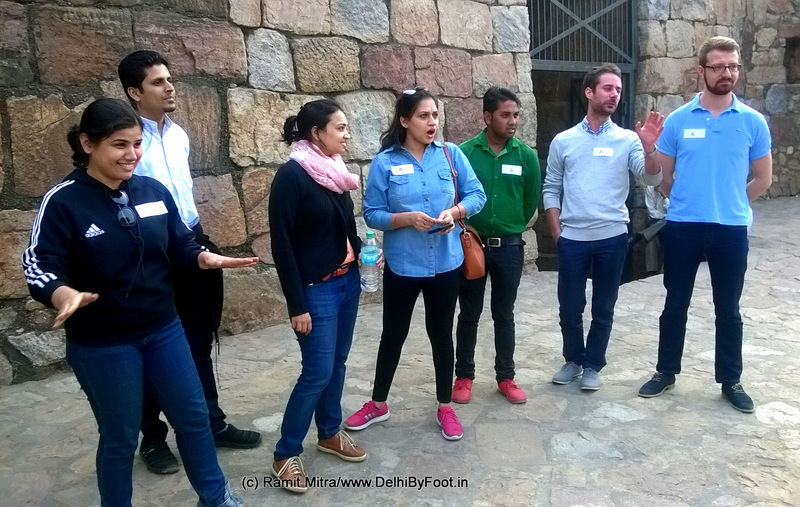 Send us a mail at explore@delhibyfoot.in For event videos, click the links below. Previous Previous post: Pujo-Ashchhe…How Maa Durga begins her journey! Next Next post: 12 Old Delhi Food Specials you can’t miss during Ramzaan!! !